Are you a business owner in Reykjavik? Promote your business 365 days a year with the #1 Guide to Reykjavik. A cozy little café/bar in the heart of Reykjavík, on Laugavegur, the main shopping street. The family-owned establishment has a laid-back attitude and emphasizes friendly, personal service. 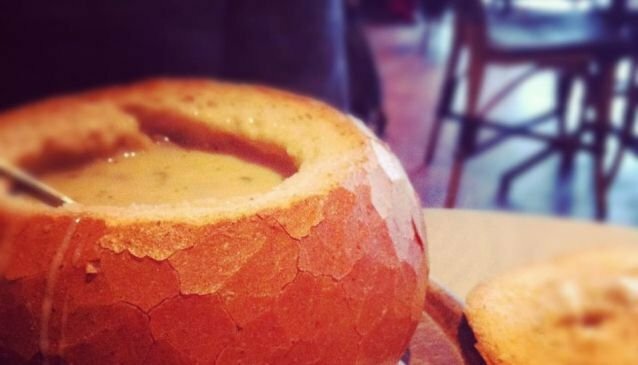 The specialty course is the soup-in-bread, that is, soup served in a bowl made entirely of bread, so you 'eat your bowl' after a fashion. There are new soups every day with one vegetarian option and one 'meat bomb'. The portions are generous for the price. Good coffee and a wide selection of beers and spirits. The location, on the second floor by the Laugavegur shopping street, makes it an ideal place stop by on the way somewhere, or to sit by the window on an idle day and read or watch the people passing by.